No matter the type of event you are hosting—wedding, corporate event, or holiday party—you must have certain pieces of rental equipment on hand. Chair rentals in Annapolis are very important because they can make your guests feel more comfortable, and they can even encourage conversations and connections between different guests. 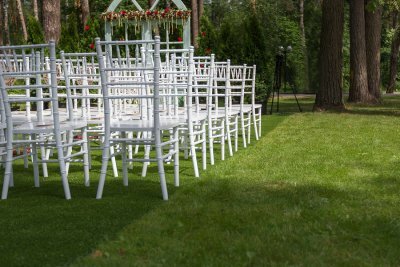 Let’s take a closer look at how chair rentals could greatly benefit your next event. Though your guests may enjoy talking to each other during a standing cocktail party, they still need a place to sit. With table and chair rentals set up, more people are likelier to comfortably gather at a table to continue a conversation. If you have a guest that is by himself at a table, then other guests are likelier to join and start a conversation. By creating these areas for conversation, your event may see future business dealings, friendships, and other relationships that could positively influence you and your guests down the road. Seats allow people to rest. Even if your event is active and requires people to stand most of the time, you still need to have chair rentals available. Some of your guests might have handicaps, illnesses, or become tired easily. All of these conditions and more may require the need to sit down even for a few minutes, which makes it extremely important to have some chairs located around the event location. If you are serving any type of food or drink, consider small table rentals that can hold serving platters and guests’ dishware. Seats add a professional look. If necessity and group conversations are not important enough reasons to provide seating, then you may consider adding chair rentals to make your event look more professional. Whether you are hosting a corporate event, a wedding, or a simple party, keeping chairs available will make your guests feel appreciated and well-cared-for. These feelings help elevate your position and how your guests respond to you. This is very important if you are hosting a corporate event or large family gathering. Before you can arrange your candelabra centerpieces, you need to determine where your table rentals near Baltimore will be located during your wedding reception. Consult with your venue on which types of tables and rental equipment would be best to fit in the space. 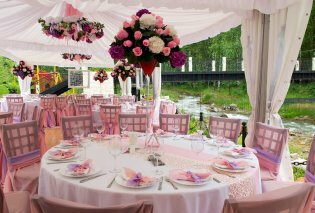 Continue reading to learn how to arrange the tables at your wedding reception. Your first plan of action will be to receive a layout of your wedding reception venue. This simple drawing—with realistic dimensions and space for landscaping—can help you to decide how many table rentals can fit and where best to place them. Use erasable pencil or have several copies of the venue layout, in case you need to change arrangements. Do not forget to include space for your chair rentals; tables might fit in a space easily, but you must also give a couple feet around each table for the chairs. Once your table arrangement is finished, you might consider adding reserved tables near your head table. Depending on how you design your bridal table arrangement, you may wish to keep a few tables reserved for your close family and friends. Often, receptions can be confusing and filled with people milling around finding seats. Do not let your loved ones be caught in the hubbub; reserve nearby tables for grandparents, siblings, and close friends. Considering that wedding receptions can have hundreds of people trying to find seats, you may wish to plan assigned seating for your guests. Many of your guests will appreciate this direction toward a particular table or seat. Plan out each table with your guests in mind. Try to seat people by friends or family they know or have something in common with. If you have family or friends who do not get along with someone else, then ask them directly who they would prefer sitting next to at your wedding reception. Your wedding and wedding reception should be focused on you and your future spouse. Your wedding rentals in Annapolis should represent you two. For example, the wedding planners in the video speak about centerpieces made of candles versus flowers. If you and your spouse love the look of candles, then consider renting candelabras as centerpieces. Continue reading for a better look at how to plan your wedding reception. Speak with your wedding planner and rental company about the appropriate wedding rentals and rental equipment that will represent you in your wedding reception. If you do not have a wedding planner, then stay organized and plan everything in advance. Working on your wedding reception without the help of a professional can be very stressful, but it can be done with help from your friends and family. With the holiday season just beginning, it is getting close to when you should start planning your annual New Year’s Eve party. This type of party can be a fun way to end the holidays, ring in the new year, and give your friends and family a great time. Since it is a once-a-year party, consider renting your china, tables, and other party rentals in Washington, D.C. 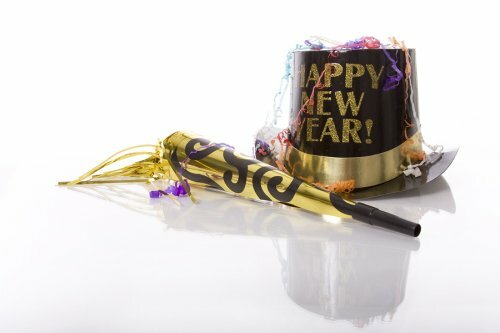 Renting the various items you need for your New Year’s Eve party will take a lot of stress off your shoulders so you can have a great time ringing in the new year. Read on for a few tips to help you plan a great New Year’s Eve party. Call your rental company well in advance of your party. The holiday season is a busy time for rental companies in the D.C. area, so you must get your order in right away. If your party will be catered, find out what will be provided. You may need to rent serving platters, china, and flatware. Plan out your party to determine what type of rental equipment you will need. You may wish to rent a dance floor, audio equipment, and other forms of entertainment. Rent your Party spupplies and equipment with Rentals to Remember - Parties, Weddings and Events ©2018 All Rights Reserved.